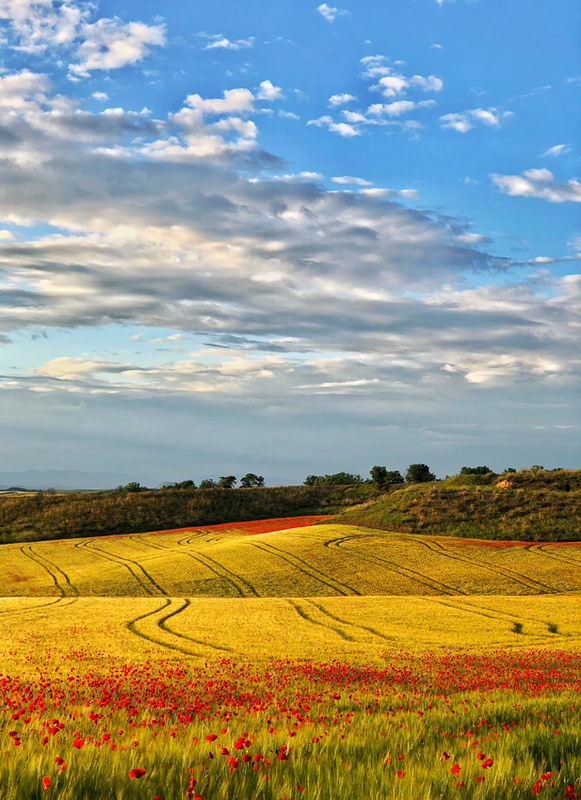 We spent a whole day at the end of spring taking photographs of some waterfalls, near Madrid, and when we returned home from the car we saw some trees with poppies at their base that caught our attention. It was not easy to find a way to those trees, and when we found it we could not make the picture that we expected. But looking back we saw these carved fields full of flowers and patterns, with a nice warm sunset light, so I took out my mobile phone and made this picture before that magical light disappeared. We were following from a Zodiak a polar bear that was swimming near a cliff. Suddenly the bear came out of the water and began to climb the cliff. During the ascent he stopped right where the sun was shining - against the light - and stirred to remove the water. At that moment, I made the photograph. Although the day was sunny, the cliff was in the shade, so I had to use a very high ISO value. But I think it was worth it. 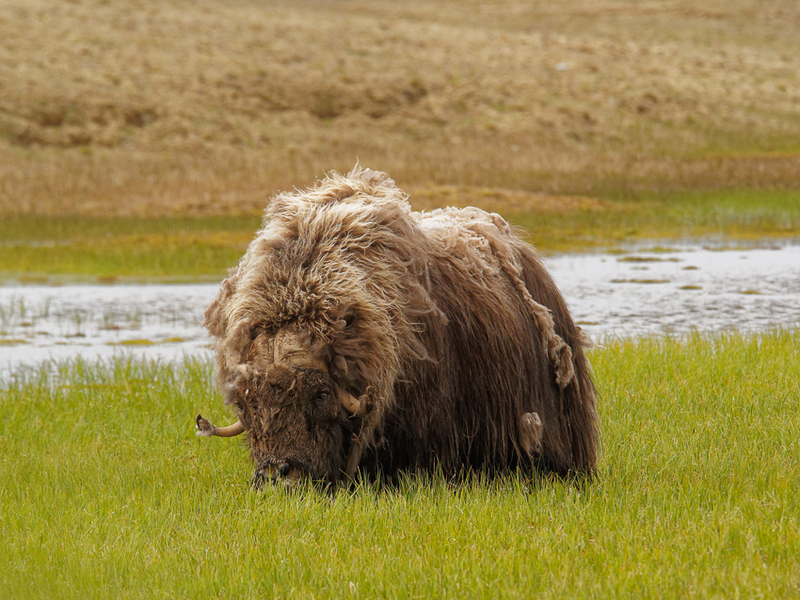 Musk oxen (Latin - Ovibos moschatus) are not hard to see in the Arctic, but they are always far away. Fearful, because they are the object of hunting, as soon as they see a human being, they put land in the middle. However, in more isolated areas with less human presence, it is possible to approach them if we are careful and do not make much noise. 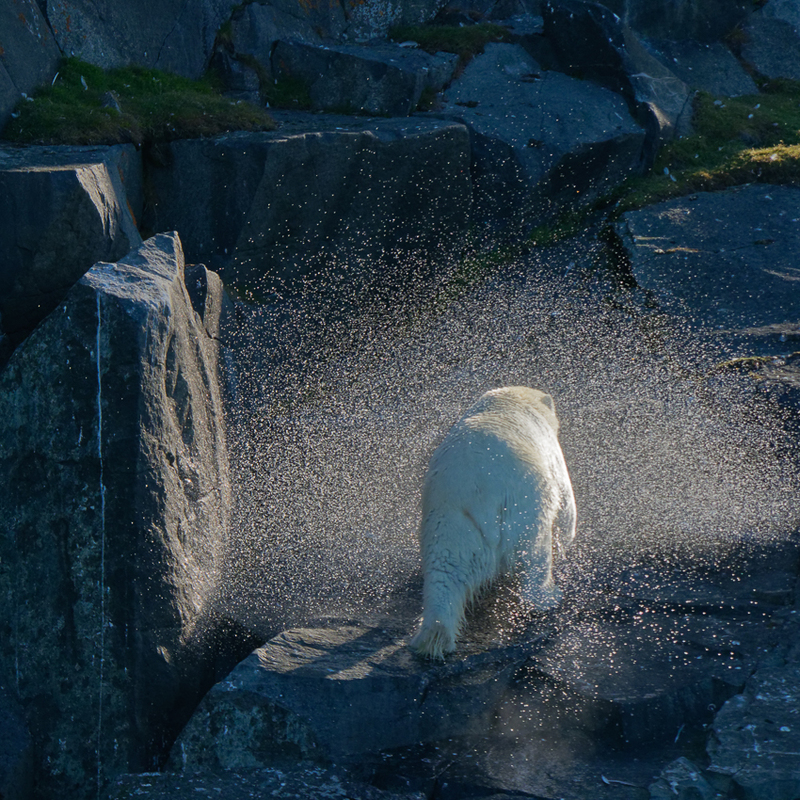 This time we saw them in the north of the island of Sommerset (Canadian Arctic). We approached very slowly, one by one, hidden behind a stone. This huge male saw us, and he did not take our eyes off, but he understood that we were not a danger and continued to enjoy the fresh grass that grew in this part of the river. Sometimes we found certain species in unsuspecting places: we had stopped to eat at the entrance of a natural park in the Northwest Territories of Canada. 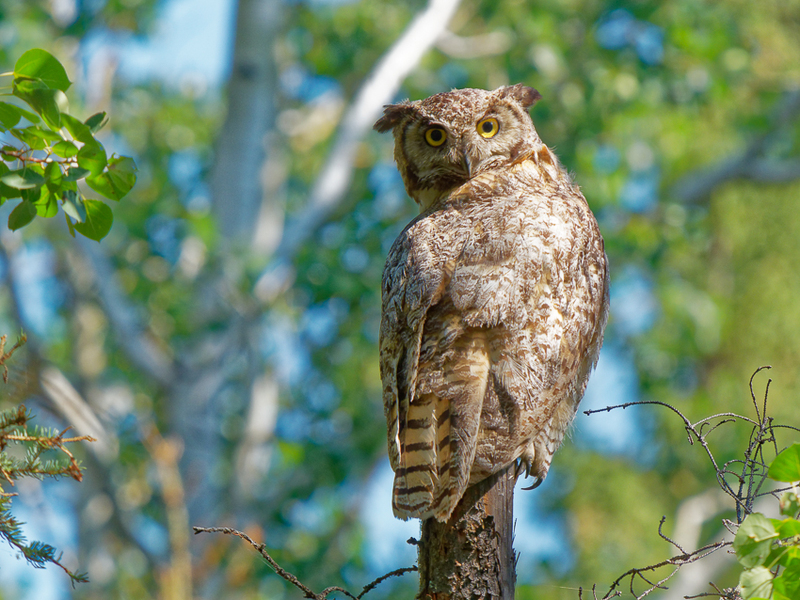 While we were eating a sandwich, Yolanda approached the entrance of a hike road, not knowing that there was this owl perched on a branch just 2 meters high. The owl flew down the road, until it landed a few meters later on this trunk. Then we ran for our telephoto lenses and, with great care, we approached, until we could obtain this photograph. Then we thought it was not so strange that there was this bird in that place: it is a place where people stop to eat and there are always small mammals that go to the remains of food, being an easy objective for this predatory bird. The strange thing is that he was perched so close to the picnic tables. 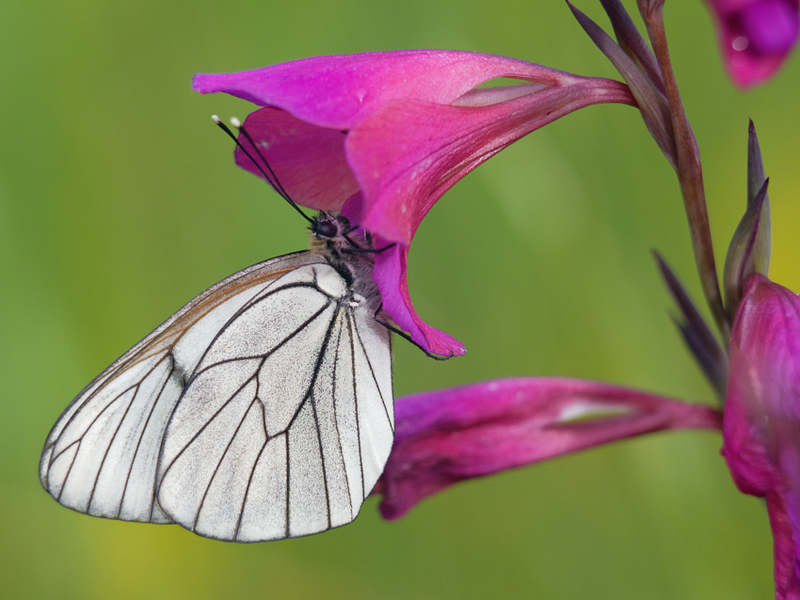 In spring the field is full of insects, and among them the butterflies are always the favorite for our photographs. This time I was testing a bright telephoto lens, using a very open diaphragm to achieve an unfocused background. I had to take several photos until I got one that had the point of focus right where I wanted, because it was a bit windy and I was not using a tripod. 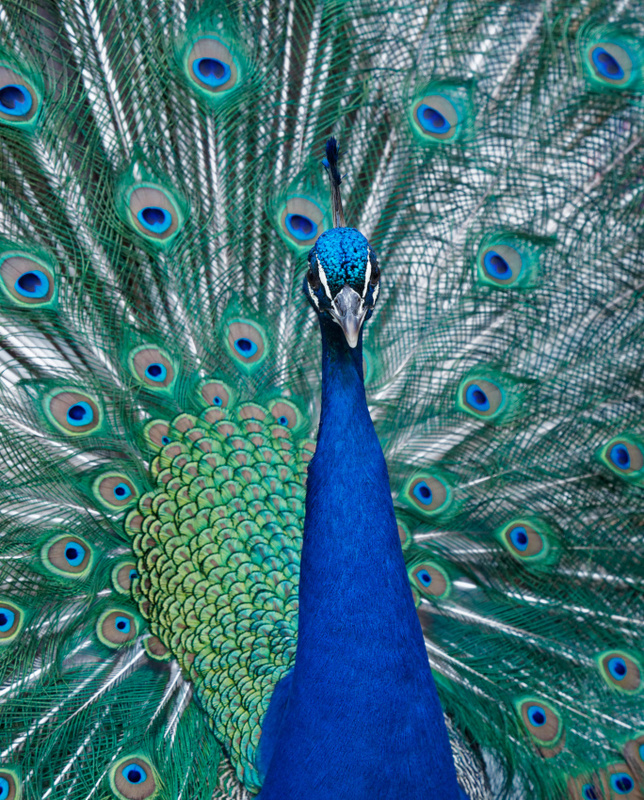 In the month of May the peacock males exhibit all their colors in the parks of Madrid. Sometimes it is difficult to photograph them because they are surrounded by people with their mobile phones, trying to get an image of those vivid colors. In this case I used a telephoto lens to compress the image a little and to frame only a part of the copy. In the winter of 2018 the snow was very abundant in the Sierra de Cuenca, so we decided to go to explore those landscapes. 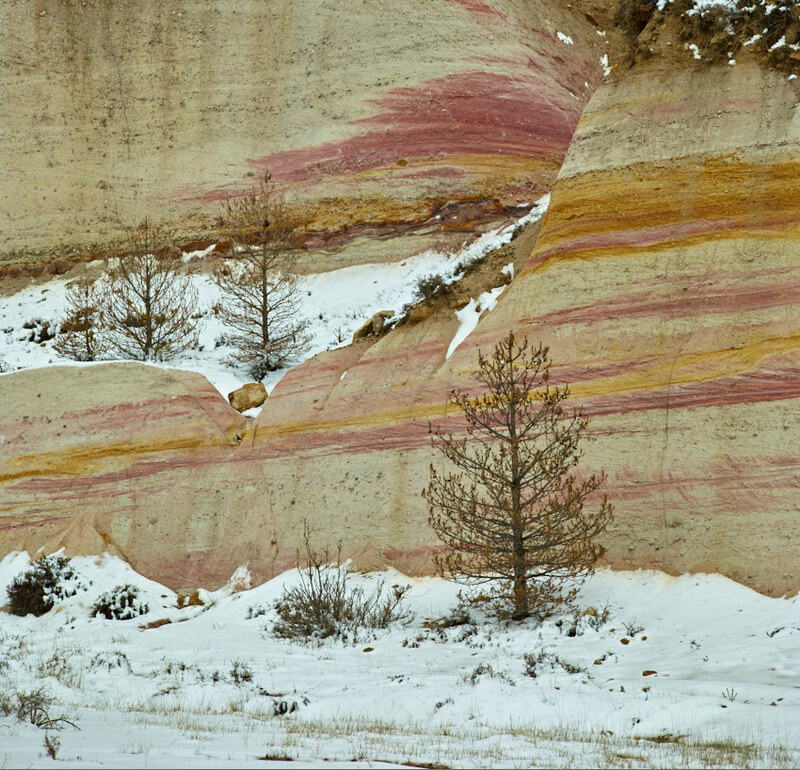 We discovered a place, near a small town, where the erosion of the water had left layers of very bright colors, and as the weather was good, we stopped to take some pictures. In this case I used a long lens to compress the perspective and leave a simpler image. One winter day we got up before dawn and went to a place we had seen the previous afternoon, in the Sierra de Andujar, Andalusia, to try to take pictures of the sunrise, before going to look for lynxes. We were in a high place, from which we saw the fog in the valley. 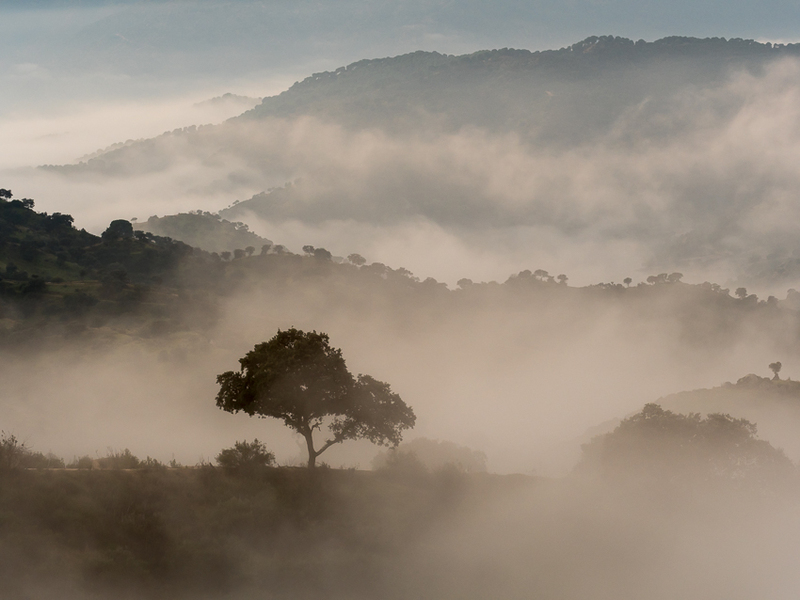 As soon as the sun appeared above the mountains, the fog was rising, causing these dreamlike images. The fog moved very fast, and I had to shoot quickly, looking for a good composition, before the effect disappeared. The rivers are always a endless source of images, so one day in February when temperature was very low, we went to the Sierra de Guadarrama, Madrid, to try to capture some images of the river with ice. 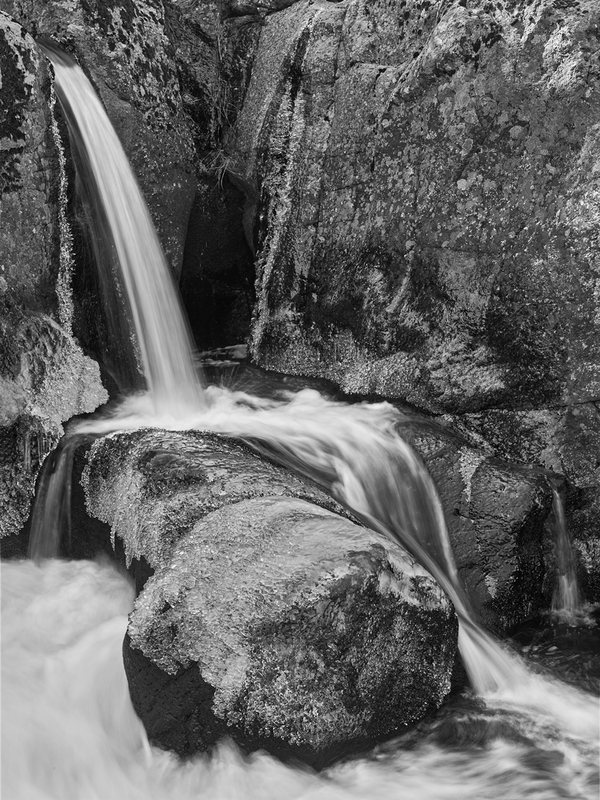 We found this waterfall where the rocks were covered with small frozen drops, forming textures of great beauty. To capture all this detail I used a 60 Mpixs digital backup, with the sharpest lens I had. Then I turned the image to black and white with Capture One, applying a mask to the water to give it a little more light. 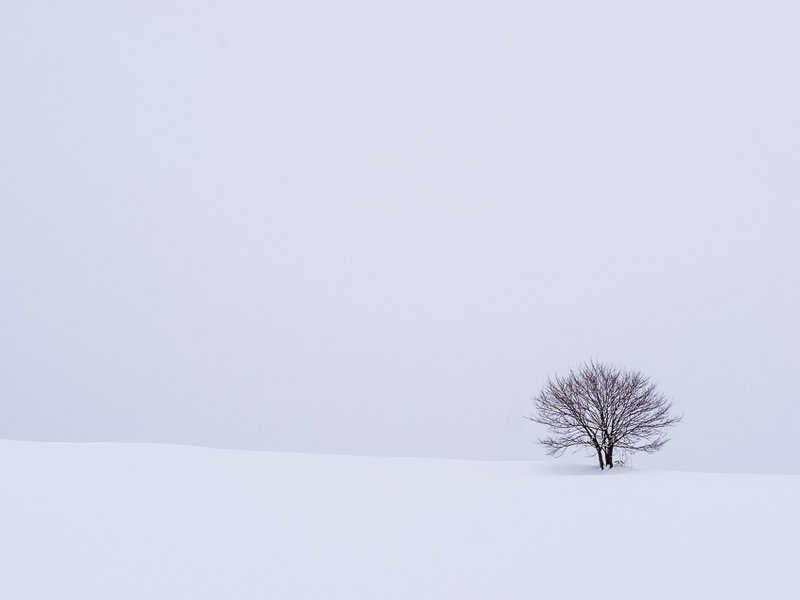 The island of Hokkaido, in the North of Japan, is an ideal place to take minimalist photographs in winter, since it is not difficult to find isolated trees in the snow-covered hills. If the day is also cloudy, we obtain these gray skies that produce an almost monochromatic image.